We are already familiar with the web-based application AirMore, which transfers files between phone and PC in a wireless way. The AirMore Team considers that users spend the most time on the web while employing AirMore. It means it’s possible for users to miss calls or messages from Android phone. Therefore, the good news is that this program owns the notification function on Android devices in case of urgent matters. Due to the limitation of iOS system, this free wep app fails to provide this function on iOS devices for the moment. 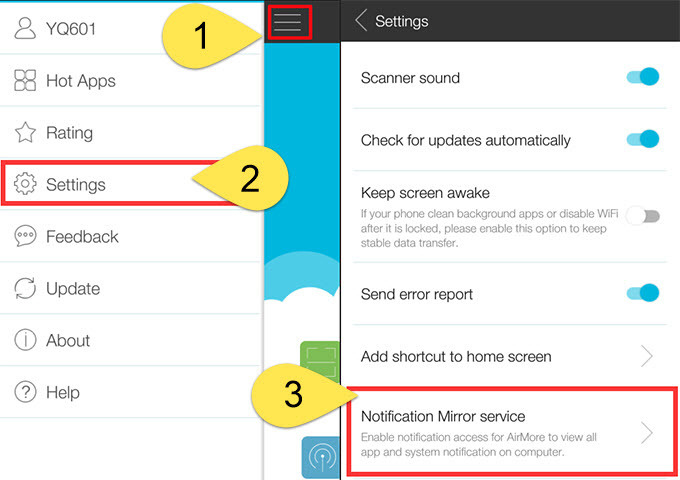 So this article aims at offering some instructions about how to use AirMore notification function on Android phone. Install the program on Android device in the Google Play. Open the app on Android device. 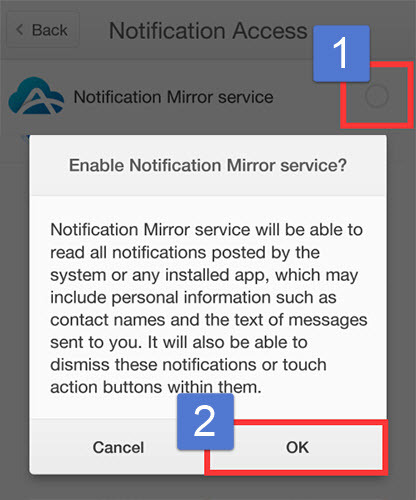 Tap the icon at the upper left corner and choose “Settings” > “Notification Mirror service”. Then a window pops up asking for your permission to enable the notification function. Choose “OK”. After the setting is done. Visit “web.airmore.com” on PC. You can choose to either scan the QR code or hit the device icon in Radar to achieve successful connection. As long as connection is built, you will see a bell icon on the upper right corner. Switching on notification service, you can receive notices from the notification bar on your Android phone such as calls, SMS, news, WhatsApp messages, Facebook or Twitter notifications and so on. Once you get new messages, a window loading the contents will appear under the bell icon. If new SMS shows up on the website, you can click “Reply” under the message. Then you will soon access the interface of Messages and reply directly. If it’s the first time you send messages on the web, a notification box will be displayed on your phone to get your permission for further operation. When somebody calls you, you will soon get informed on the website. If it’s inconvenient for you to answer it, you are able to hang up the phone call by simply clicking the red button. If you need to disable the function for a while, you could turn off the notification by simply hitting the bell icon or switching off the “Notification mirror service” on your phone. 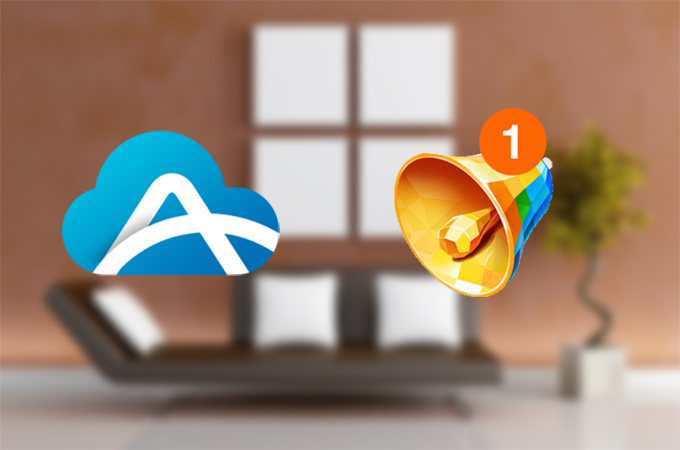 By using AirMore notification function, you needn’t worry about missing important information while managing your data online. Now enjoy this useful and convenient function! If any problems bother you, you can certainly contact us.